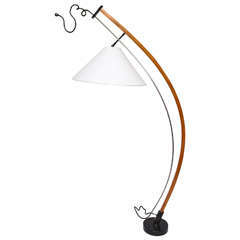 Italiana Luce floor lamp Mid-Century Modern painted iron and plexiglass height of shade adjusts Italy, 1970. 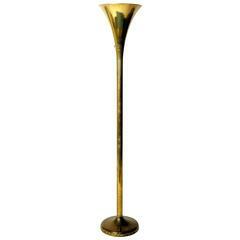 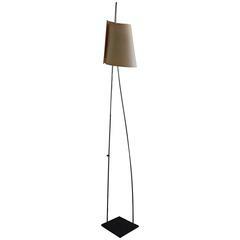 Reggiani articulated floor lamp extends floor to ceiling Mid-Century Modern, Italy, 1970s Height adjusts. 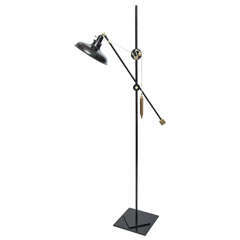 This Italian floor lamp from Luce Plan, features a yellow cotton lampshade and a black metal tripod base. 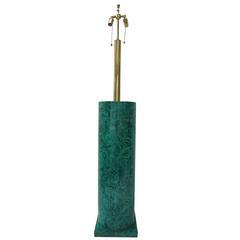 Fabulous faux malachite floor lamp in beautiful condition with all new wiring a great mid-century piece! 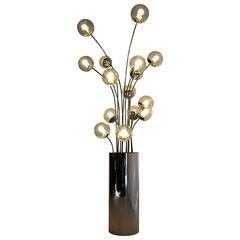 Mid-Century Modern Italian Space Age chrome and glass three lights floor lamp, 1970s.